I know many of you have been curious about which doll I had to set aside during my ridiculously busy week, and so I am thrilled to finally be able to introduce Marta, a 23.6" vinyl play doll from Paola Reina's "Las Reinas de Paola" collection. With Marta, I feel like I am reviewing a doll from a brand new company, even though Paola Reina has been making play dolls for almost twenty years. The reason the company feels new is that, up until this year, the Spanish-made Paola Reina dolls were not easily available in North America. Fortunately, Paola Reina America has been established as the North American distributor for these dolls, and so we will start to see them available for sale in shops all across the continent. The dolls will also be available directly from the Paola Reina America website soon. I was fortunate enough to be able to do some early shopping at Paola Reina America, and my dolls were shipped to me directly from Spain. I think this is the first official perk I have enjoyed as a doll reviewer, and I am extraordinarily grateful. I must have spent over an hour on the website choosing which dolls to buy, and I probably changed my mind five times. I ended up with two dolls, and I don't think I they're the ones anyone would have expected me to pick (no redheads!). Of the two, I want to show you Marta first, because her size and coloring made a very strong impression on me from the moment she came out of her shipping box. "Marta" from the Paola Reina "Las Reinas de Paola" collection. Doll Clothes from "Toyes Tiny Treasures"--A Guest Review! Well, I have made it through my ridiculous week. It was very fun and exciting, but I can't remember ever being so busy. I am looking forward to having things back to normal this week, and maybe watching Frozen tonight...after I clean the kitchen. Here to help me finish out the week in style is my Canadian friend, Melissa, who wrote the wonderful Begoth review earlier this month. 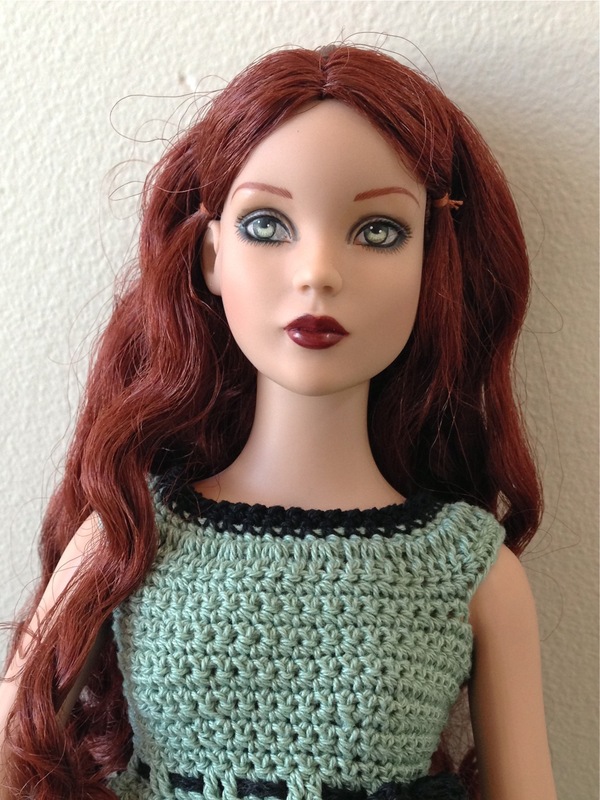 Melissa found a gem of an Etsy shop and had a great experience buying custom clothing for her 16" Tonner doll. This shop offers clothing for a diverse range of dolls, including Tonner, Blythe, and several BJDs. Melissa wanted to share her experience and her beautiful purchases with all of you, since we all know it can be quite hard to find just the right outfit for a special doll. Once again, I am extremely grateful for the help and delighted to put the blog into Melissa's capable hands for the night! "Vasilisa" by Tonner Doll, wearing a custom Toyes Tiny Treasures dress. Well, I am making some progress through my crazy-busy week (seven more lanterns done!) and wanted to post a short review of a Frozen doll...in honor of yesterday's much-anticipated DVD release. Many of us were hoping for an enduring re-stock of Disney Store Frozen dolls to accompany the DVD debut, but this hasn't happened yet. Most of the dolls seem to have come back into stock a few days ago (I don't know exactly when..I missed it), but they quickly sold out again. As I'm writing this, only the mini doll set is still available. 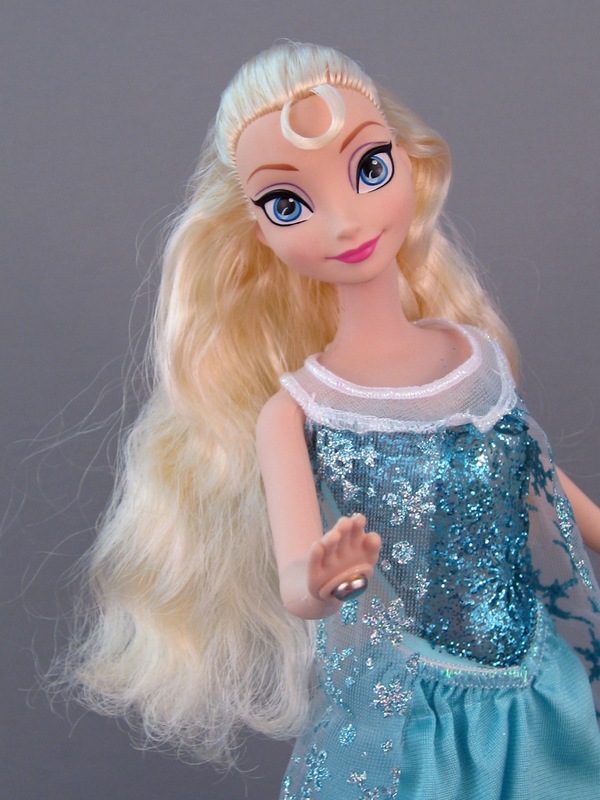 I reviewed the Disney Store's 16" Singing Elsa doll a few months ago, and so today I want to give you a quick overview of one of Mattel's musical dolls, Musical Magic Elsa. There is also a Musical Magic Anna, and these dolls have a retail price of around $26 each. Musical Elsa, like every other Elsa doll on the planet these days, has become quite scarce, and so her current asking price is more like $50-$60. "Musical Magic Elsa," by Mattel. Not worth $50. This is an insanely busy week in my house. I think it's safe to say that it is the most busy week of the year. I don't know why everything has chosen to converge on this one week, of all weeks, but it has. Just as a sampler: my son's school play opens on Thursday, and for some reason I decided to hand-paint 22 shadow lanterns for the show's dinner theater night. I love a good art project and all, but I'm clocking about one hour per lantern, so 22 is starting to look like a very large number. Anyway, I don't want to neglect the blog completely, so I decided that I will try to put up a few short posts this week, rather than the longer review (of a wonderful doll!) that was originally on the schedule. Hopefully things will get back to some kind of normal next week. I was browsing at Toys R Us during the President's Day sale last month, and I noticed that there are Hello Kitty miniatures made by two different companies: Jada Toys (makers of the Cutie Pops) and Blip Toys (makers of Squinkies). I thought both versions were appealing, and wanted to compare them side-by-side. 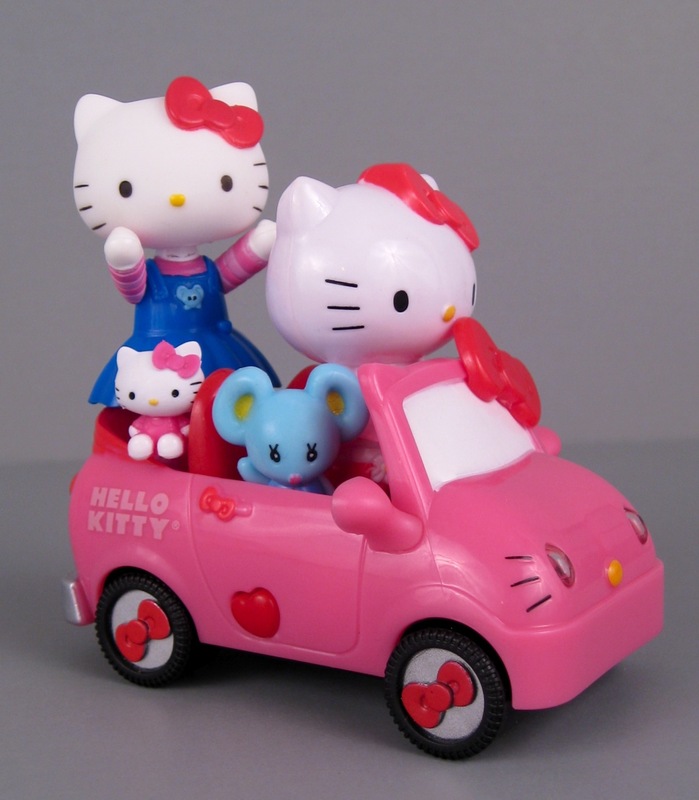 Jada Toys Hello Kitty figure and car, with Blip Toys Hello Kitty figures along for the ride! Bratzillaz Dolls "Angelica Sound" and "Illiana Honesty"
I have been noticing that Bratz and Bratzillaz dolls are not being restocked at my local Target and Walmart (Toys R Us is still getting a few...) but Tina was the first person who explained to me what is going on. Apparently, MGA plans to take a year-long Bratz hiatus in 2014, during which time they will remove their products from the shelves in the United States and revamp the brand for a 2015 re-release. This is similar to what the company did after the big lawsuit with Mattel in 2010, but apparently the quality and sales of the dolls have not been up to standard since that time. I think the original announcement of this news is the article written over at Bratz Boulevard. It's a great article with an optimistic long-term perspective, but it leaves me with some head-scratchers. First of all, it doesn't seem like a real hiatus if the dolls are are still being developed and sold in other countries. Does that mean that there will be some new Bratz dolls in other parts of the world, but they'll just be harder to get in the United States...perhaps with higher shipping costs? There's some equity here, given that the situation is usually reversed. The other thing that doesn't make sense to me is that quality is being cited as a reason for the re-invention of the brand. I don't know much about Bratz dolls, but I have quite a few Bratzillaz, and while the quality of these dolls was not great at first (Meygana's hair...ugh! ), I have seen steady improvement over the last few years. Bratzillaz, "Angelica Sound" (L) and "Illiana Honesty" (R). 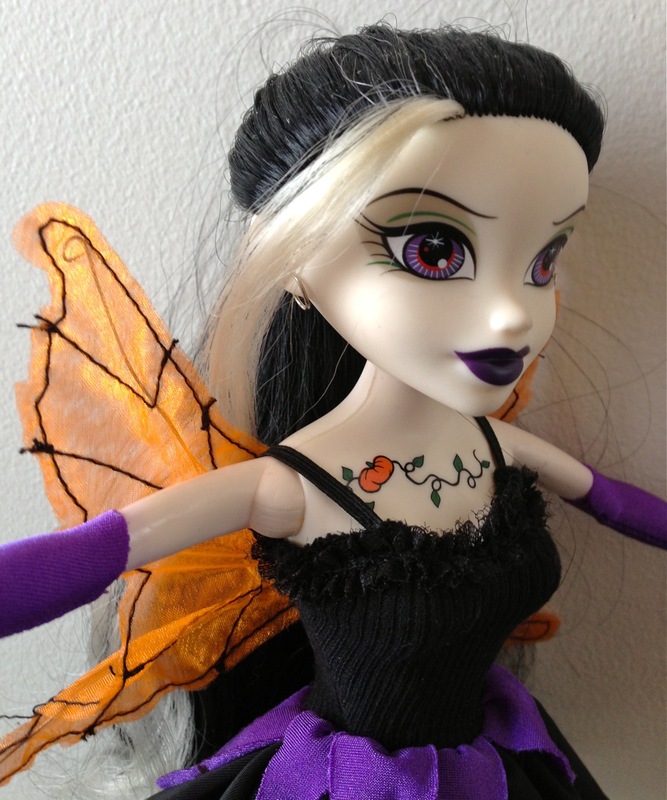 Bleeding Edge Goth Doll "Olivia O'Lantern"--A Guest Review! Bleeding Edge Goth dolls, affectionately known as BEGoths or Begoths, are a line of dark-themed fashion dolls that were invented by Steve Varner and his son Stefan back in 2003. The doll line includes 7 inch figurines, 12 inch articulated fashion dolls, and small plush toys called Kindergoths. Eight waves of these edgy characters were produced before the dolls were discontinued in 2011. I showed you my 12 inch Begoth doll, Leda Swanson, as part of an older review of the Mystixx vampires. I have been meaning to offer a more thorough review of these dolls ever since that post, and feel very fortunate to have a fellow reviewer here to do that for me today. I am proud to introduce Melissa, my guest reviewer and online friend. I met Melissa last year over a discussion of goth-style dolls. After enjoying her emails and hearing her thoughtful opinions for a while, I can't tell you how delighted I was when she offered to write a review for the blog. Melissa loves dolls but chooses them very carefully--preferring characters with a fantasy, gothic or storybook theme. Melissa also enjoys reading, and has a special passion for Victorian classics. She likes cemeteries, wearing lots of lace, daydreaming and anything handmade and/or natural, including handmade and OOAK (one of a kind) dolls. I want to extend my heartfelt thanks to Melissa for the enormous amount of care and effort she put into this wonderful review. The only thing I had to do for this post is sit back and enjoy it. I invite you to do the same! Bleeding Edge Goth doll, "Olivia O'Lantern." This is not a typical review, I just want to quickly show you two dolls that I saw last week at Toys R Us. When I first laid eye on these two, I had a hard time believing what I was seeing. Both of them have potty humor themes to one degree or another, which is not something I can say I've seen very often (if at all?) in the mainstream doll world. I ran into both of these dolls on the same day, at the same store, within about three minutes of each other. This left me scratching my head and wondering if I was in some kind of crude alternate reality. I actually bought one of the dolls--so that I could show her to you, but also because most things about her are very cute and ordinary. 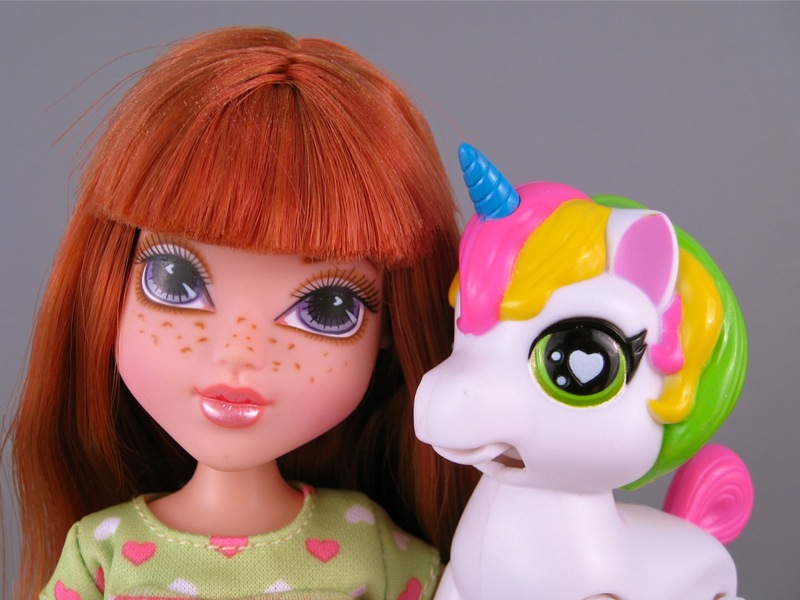 She's a Moxie Girlz doll with bright red hair and a colorful pet unicorn. She cost me $14.95. Moxie Girlz "Kellan"...and her pet (by MGA Entertainment).